A challenging, resistance - based workout. The best choice for spring-assisted, integrated Pilates workouts! Two extraordinary machines in the space of one. Challenge the body in multiple planes of motion. Traditional design meets state-of-the-art craftsmanship. Built for commercial fitness, perfect for home use. Designed for group programming and personal training. 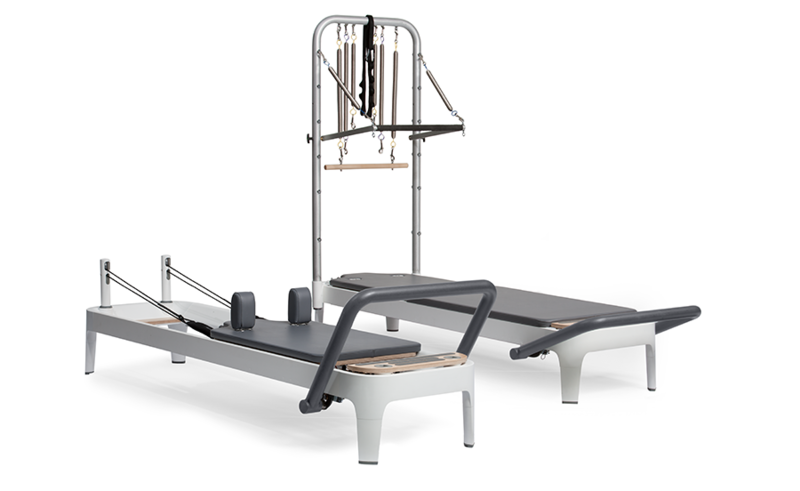 The most versatile Pilates tool for safe, effective rehab. Offers all-in-one flexibility and economical use of space. Replicates the exact, smaller measurements that Joe used. 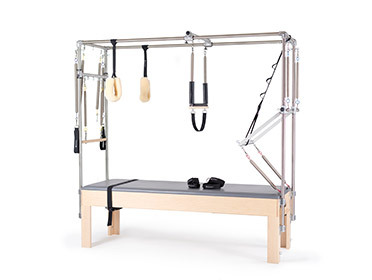 An affordable, space-saving piece of Pilates equipment. A challenging, resistance based Tower workout.